At Mayberry Dental we are as concerned as you about sterilization. 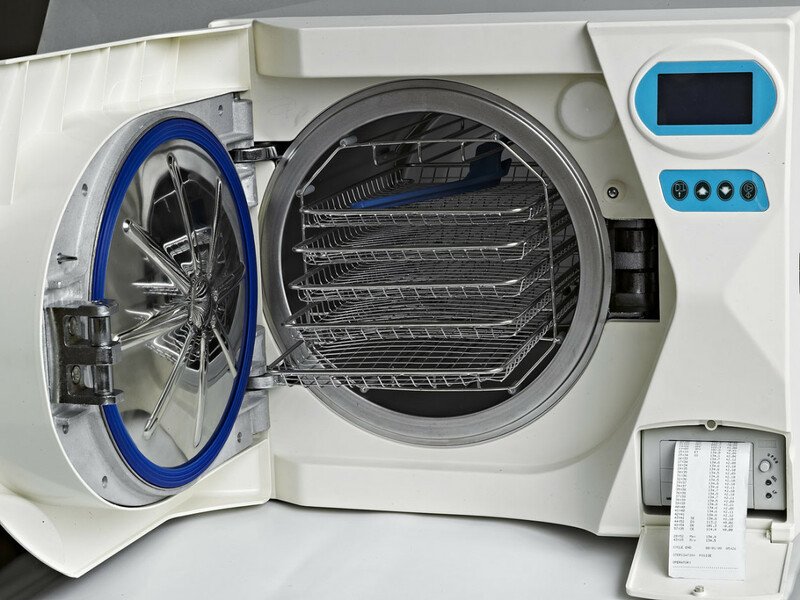 Our sterilization takes place in a state-of-the-art, stand alone sterilization centre. Our dental instruments go through an entire process to ensure total cleanliness and sterility. First, the instruments go into the non-sterile collecting area (red). Here, they are scrubbed, then placed in an ultrasonic (high frequency vibration) solution to dislodge any loose particles. Then they are rinsed, dried and sterilized under heat and pressure to kill bacteria, viruses and spores. Once sterile, they are stored in the sterile area (blue), until needed. All instruments we use, including handpieces (drills), go through this process. In addition, the room is sterilized by wiping down all the counters, handles and equipment between each patient. All of Mayberry Dental’s sterilization practices are current and follow the Dental Association Guidelines. If this is a particular area of concern for you, we would be pleased to show you our Sterilization Centre and how it operates.